T-Mobile announced the addition of 20 new markets and destinations this morning for Simple Global users, now allowing travelers to take advantage of their network throughout Europe and South America. More specifically, a few of the new markets are Monaco, Macedonia, Serbia, Kazakhstan, Bahamas, and Haiti. 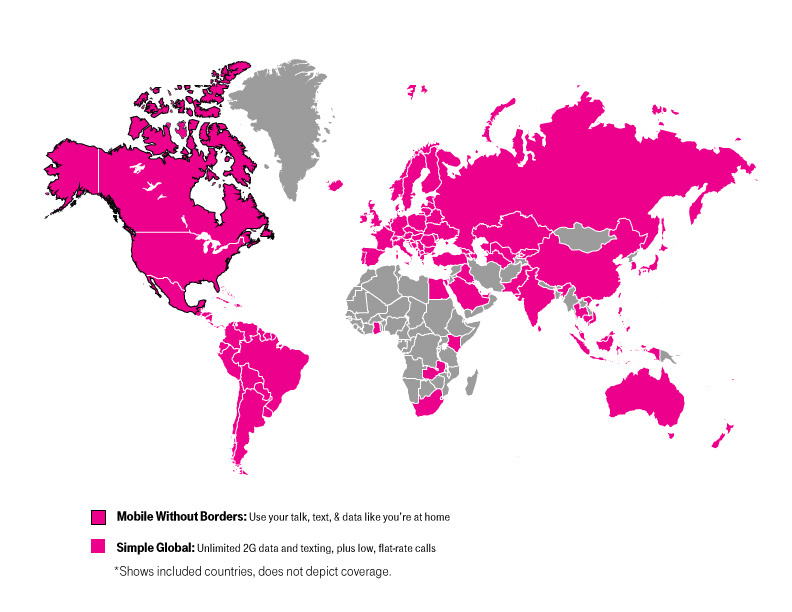 As a customer of T-Mobile’s Simple Choice postpaid plan, you can now enjoy unlimited data and texting at no extra charge, plus the flat-rate for calls at $0.20 a minute in a total of 145 countries worldwide. If you are a busy businessman who does plenty of business in all parts of the busy world, it’s a great option. Here is the complete list of new markets. Below, this map details T-Mobile’s “global” coverage.